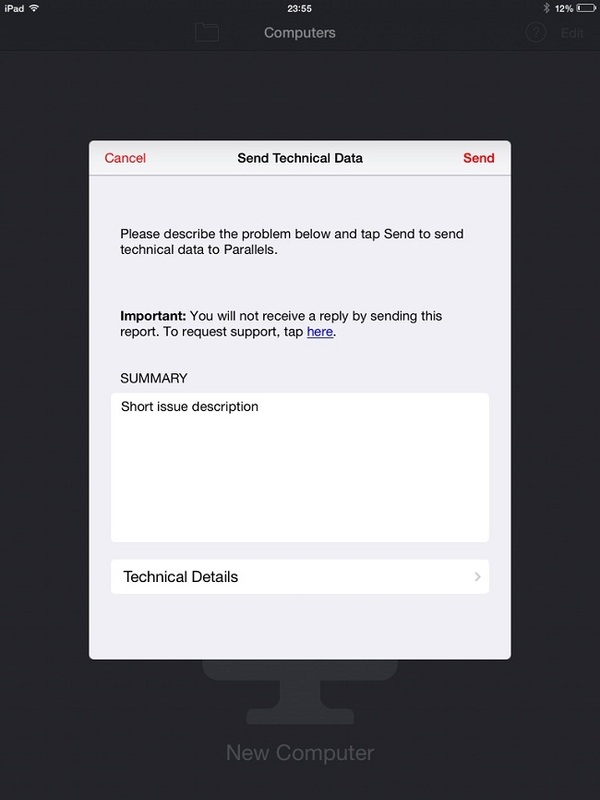 Technical Data ID is used by Parallels Engineering and Support Teams during troubleshooting of reported issues. 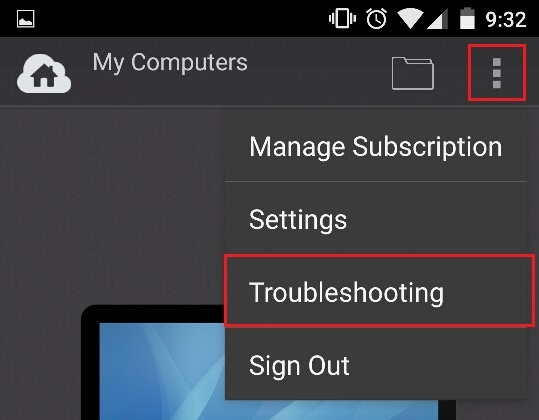 Parallels Access has two sides: client side (iPhone, iPad, Android-based tablet or phone) and agent side (Mac or PC computer/laptop). 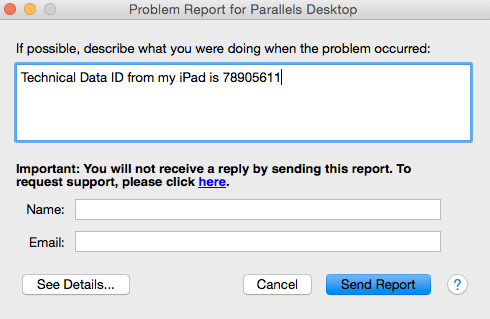 Therefore while troubleshooting technical issues you may be requested to provide Parallels Support with with Problem Report and Technical Data ID: from both agent and client sides (the order does not matter). 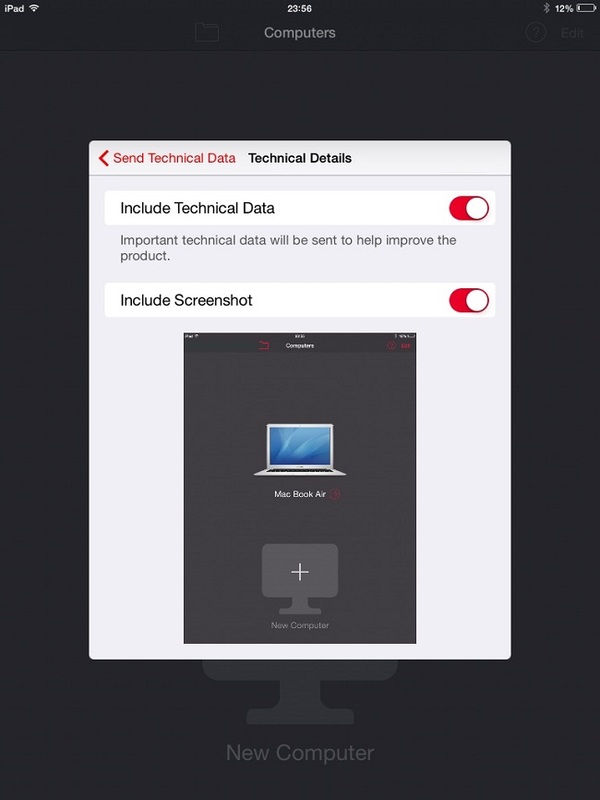 How to send Technical Data? NOTE: It is very important to generate a Technical Data ID as soon as the issue appears. Once the Technical Data is sent, please save its ID number. 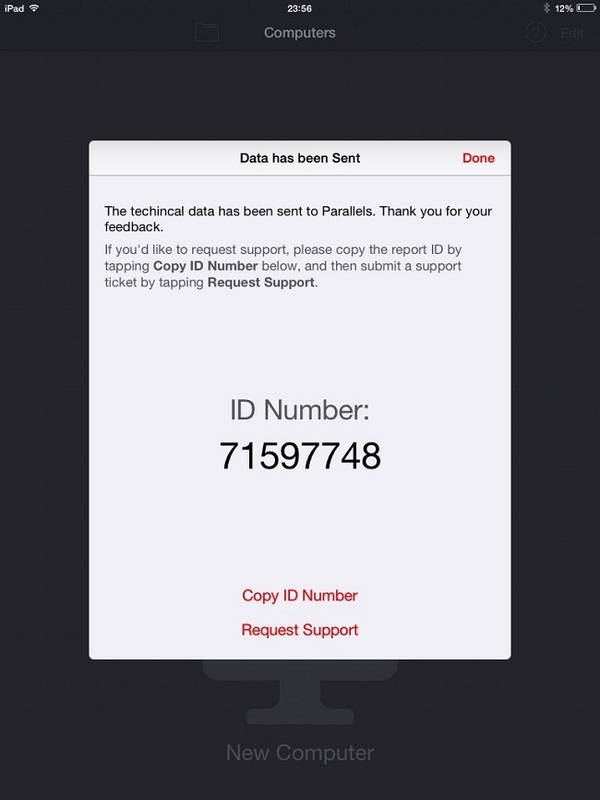 NOTE: Parallels Support team will not be able to find your Technical Data on server without having its ID number.